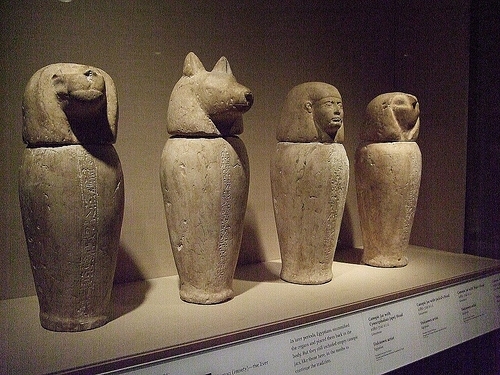 The canopic jars were the containers used to hold the internal organs that were removed from the dead body before mummification and embalmed separately. 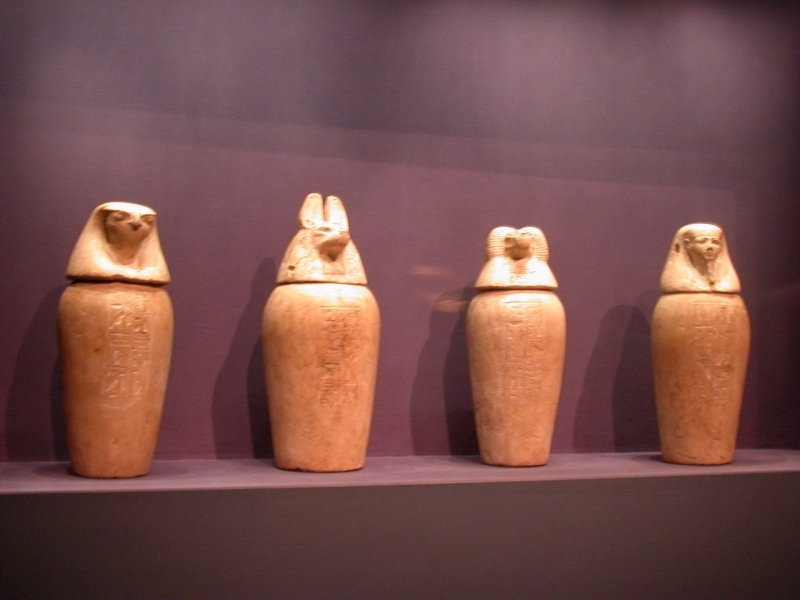 During the Old Kingdom, when mummification was in its infancy, the jars that served this purpose were stone vessels with flat lids. It was not until the first intermediate period that the four jars each acquired a human-headed stopper. From this time, too, the packages of viscera placed inside them were sometimes decorated with human-faced masks. 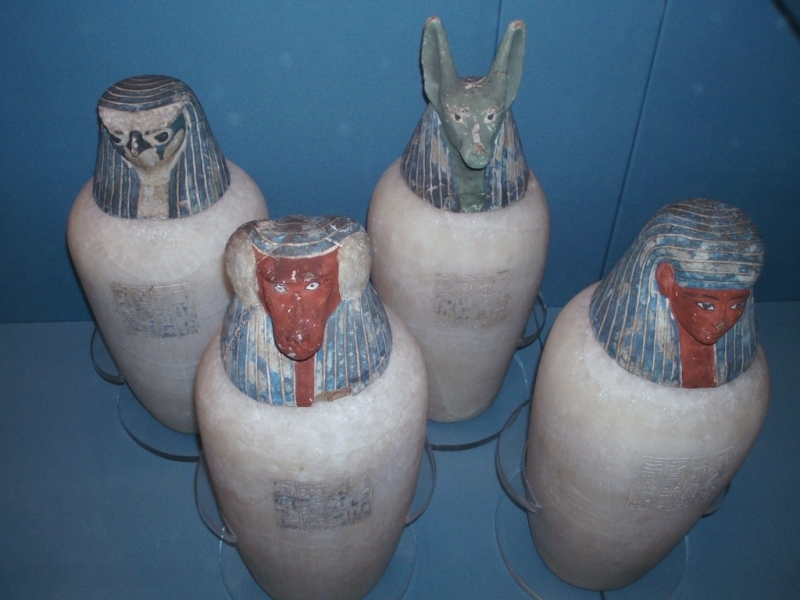 Then from the late eighteen dynasties onwards, the stoppers of the jars were each shaped like the head of one of the minor funerary deities known as the “four sons of Horus”. These were the baboon-headed Happy, the human-headed Imsety, the jackal-headed Duamutef, and the falcon-headed Qebehsenuef. 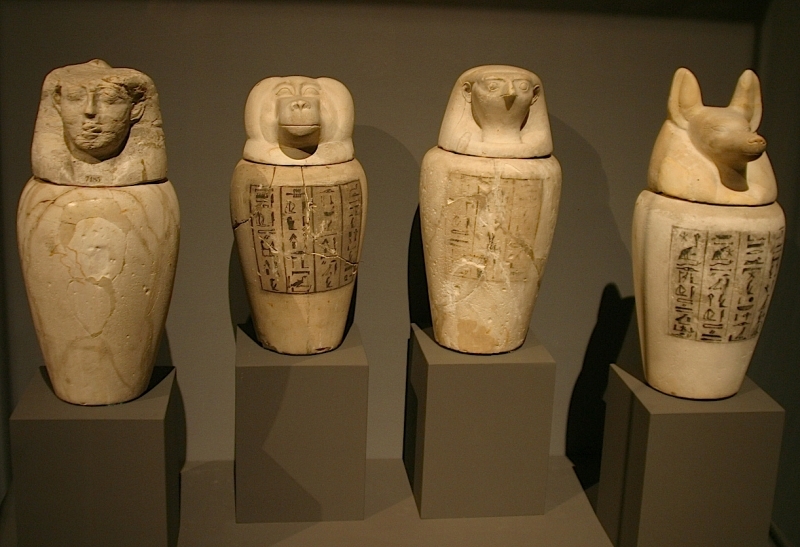 It was the job of these four deities to protect the internal organs of the deceased. 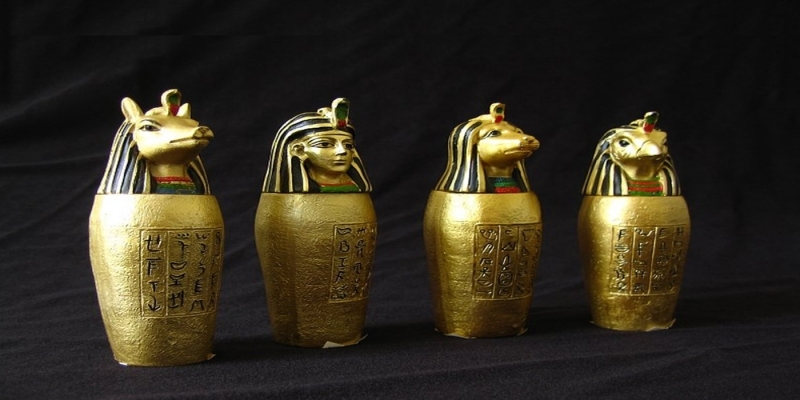 These would have been removed from the body, embalmed, anointed and wrapped in linen ready to be placed in the jars for safe keeping, because the ancient Egyptians firmly believed that the deceased required his or her organs in order to be reborn into the Afterlife. Hapy guarded the lungs, Imsety the liver, Duamutef the stomach and upper intestines, and Qebhsenef the lower intestines. This sky god took the shape of a falcon with the sun and moon for eyes. Horus was the earliest royal god and one of the most important gods of Ancient Egypt since he wrote a double crown as both the god of the heavens and the divine embodiment of kingship. A protector god who attacked and destroyed evil, Horus was shown either as a falcon or as a man with the head of a falcon. 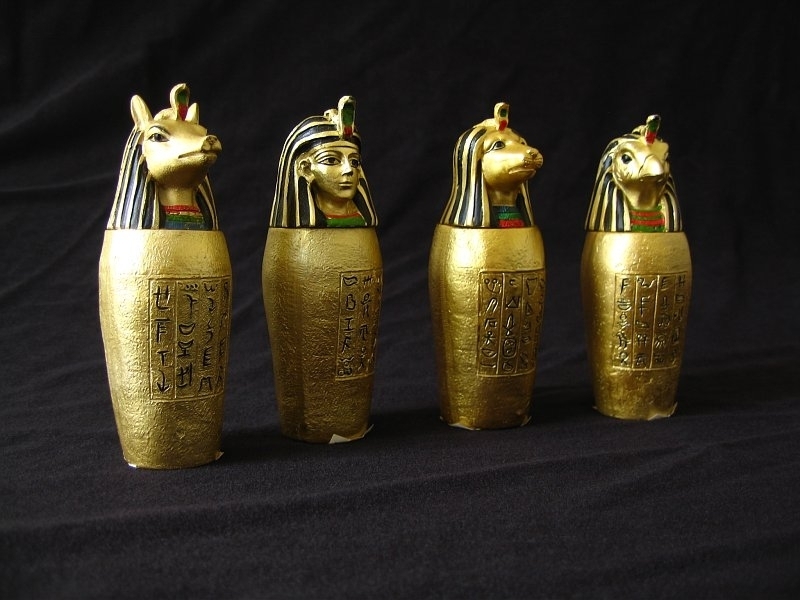 You can book one of our Egypt Tours to know more about ancient Egypt History.